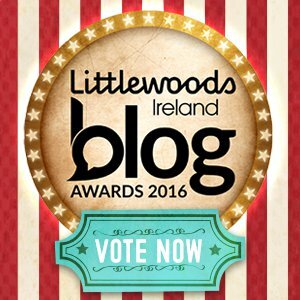 If you have been keeping in touch with the Learner Mama Facebook page you will have seen that I was shortlisted for Best Parenting Blog (Personal) in the Littlewoods Ireland Blog Awards. Yay! To make it to the finals there is an element of public vote. Not so yay! Anyway, needs must so I come asking for your help to get me to the finals and would love if you would take a few seconds to vote for Learner Mama. If you just click on the image below and submit your vote before that date. If you choose the Facebook option you do not need to create an account and it literally takes seconds. I know what I did this summer!